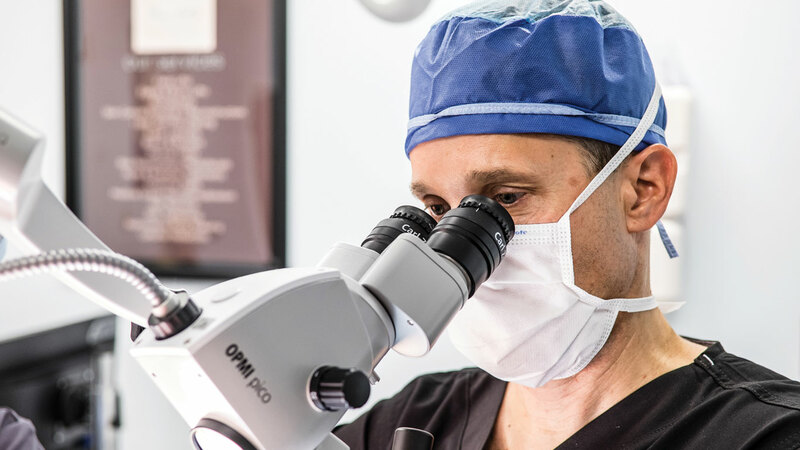 Fine Arts Skin & Laser combines surgical precision with aesthetic expertise to create exquisite experiences for their clients. In order to portray this in the new photography, we wanted to destigmatize people’s common conceptions about plastic surgery. Fine Arts offers more of an experience all with the goal to make every client feel refreshed and rejuvenated, both inside and out. In order to accomplish the balance between warm and inviting with the expertise and skill of their staff, our team captured imagery with soft and natural lighting as well as focusing in on the technical aspect of the work. Fine Arts’ work space is also very unique and inviting, so the team captured additional imagery that reflects the doctor’s personality. 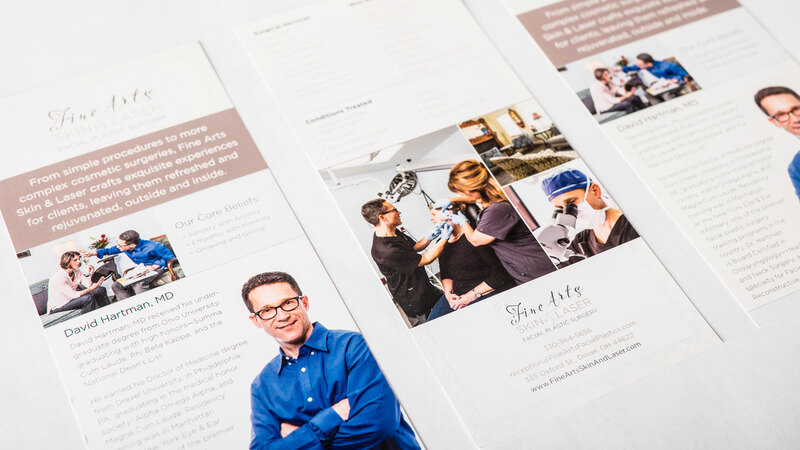 The staff at Fine Arts Skin & Laser wanted to have the same information that’s on the website available for potential clients in a print format that could grace the office counter or even be handed out elsewhere. 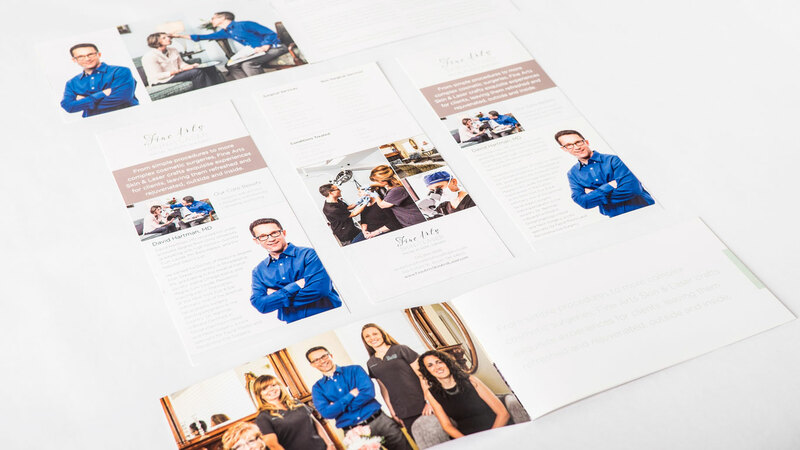 Together, we determined the proper imagery, content, and design for a very condensed rack card, as well as a more expansive brochure printed on a high-quality, soft-to-the-touch paper.